Beginning on May 26, 2016 and returning for our 3rd season (including 2014 in San Diego), the 2016 Great Park Grand Prix USA Cycling Beginning Racer Program (BRP) presented by Rock N’ Road Cyclery is designed to provide new road racers with an enjoyable and educational experience as they learn to race, the objective of the program is to inspire and educate new riders, increase annual licensed membership, and improve cycling skills, leading to safer and more enjoyable racing experiences. BRP is designed to be optional, fun, and valuable, leading to a desirable program, which, in turn, will lead to more rider participation. The BRP is modeled off of the highly successful Northern California Early Bird Racing Series. 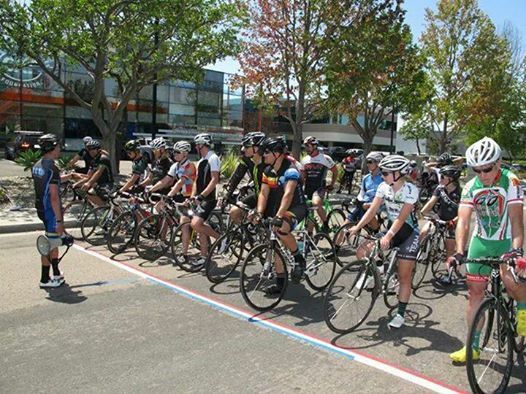 Established approximately 30 years ago, the Early Bird Racing Series serves over 1,000 racers annually and is the culmination of many years of hard work from USA Cycling Coaches Larry Nolan, Laurel Green, Matt McNamara, John Cheetham, and Dan Smith. Note that for 2017 and beyond, current BRP information can be found on the SCNCA web site. Almost everyone at some point in their life has learned to ride a bike, but very few have learned or been taught how to race their bike. For new racers, the USA Cycling BRP is a great way to learn the skills and dynamics of bike racing in a safe and unintimidating environment. Whether you are a young junior rider or a master’s athlete, the BRP will guide you step by step through how to race without the pressure of a competitive environment. USA Cycling approved BRP clinics count as two (2) upgrade points for each clinic for both Men cat 5 and Women cat 4 road cyclists. Women cat 4 road cyclists are authorized to apply up to ten (10) points from the Beginning Racer Program clinics towards cat 3 road upgrades. More information can be found here. You do not need to attend all 5 clinics to receive upgrade points for attending 1 (or more) clinic(s). You can pick and choose the clinic(s) you wish to attend, or attend all 5, it’s your choice. In order to receive the full two (2) points from a USA Cycling BRP clinic, the rider must complete and take part in all three (3) components of the BRP clinic; 1) on-bike instruction/clinic; 2) race; 3) race debrief (no partial points will be awarded for only attending one of the three components of the BRP). The BRP is broken down into five separate clinics, with each clinic holding a unique and progressive curriculum. Each clinic is comprised of three components; 1) 45-minute on-bike instructional clinic; 2) 40 or 50-minute race; and 3) 10-minute race debrief. Who is the BRP program team (SCNCA)? Where are the BRP clinics held, and when? BRP clinics and races are held on the old El Toro runway at the OC Great Park. For current dates and times, check here. Sign-in opens at 4:30 – 5:05pm – Meet at the BRP area to the left of registration at 5:10pm, clinic begins at 5:15, race at 6:15, race debrief at 7:05pm, clinic concluded at 7:15pm. Do I need an Annual USA Cycling License? 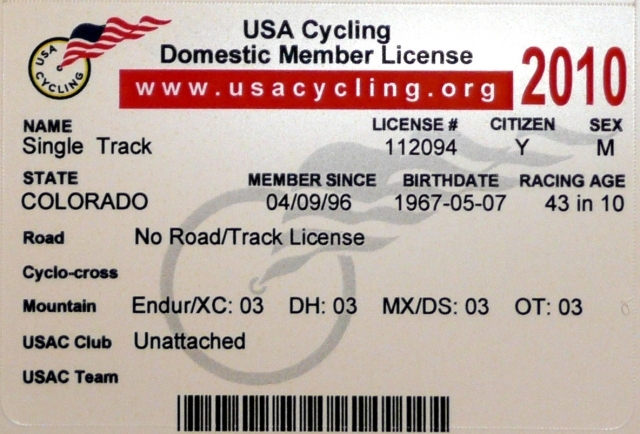 You are not obligated to purchase an annual USA Cycling license to attend Beginning Racer Program clinics. Category 5 racers who do not have an annual license can purchase a One-Day License when registering for BRP. Riders that purchase a one-day license are entitled to the USA Cycling accident medical coverage for the event day the license was purchased for and limited to only the cycling activity of the event. All medical coverage is subject to the terms, conditions and exclusions of the policy(ies). 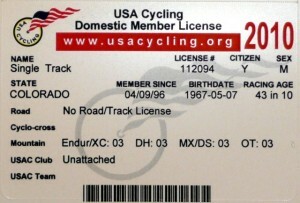 Additional details can be found on the USA Cycling licensing web site. You will be directed to a registration check out page and will be able to complete your registration. Can Women and Juniors participate? USAC BRP clinics are open to Women Cat 4 road racers and men and women Junior road racers over the age of 15. To receive upgrade points for the BRP clinics (up to 10 total towards a Women Cat 3 road upgrade), all participants including women and juniors must race and finish either the Men’s Cat 4/5 race or the Women’s 4 race. You are not required to finish with the main pack, but you must complete the race (35-50 minute duration) to receive race credit. How can I register, view future dates, and learn more about BRP? You can register for these clinics by clicking the link at the top of this page, and on USA Cycling’s website and read more at USA Cycling’s page for the Beginning Racer Program, and get updates at the Park 2 Park Racing Series on Facebook. For more questions, send an email here.